A Jenks Police Patrol Commander was arrested on a Tulsa County warrant Friday night by Creek County Sheriff's Office deputies. James William Bennett was booked into the Creek County Jail Friday at 8:39 p.m., according to jail records. Jail officials tell 2 Works for You that Bennett is still in jail. 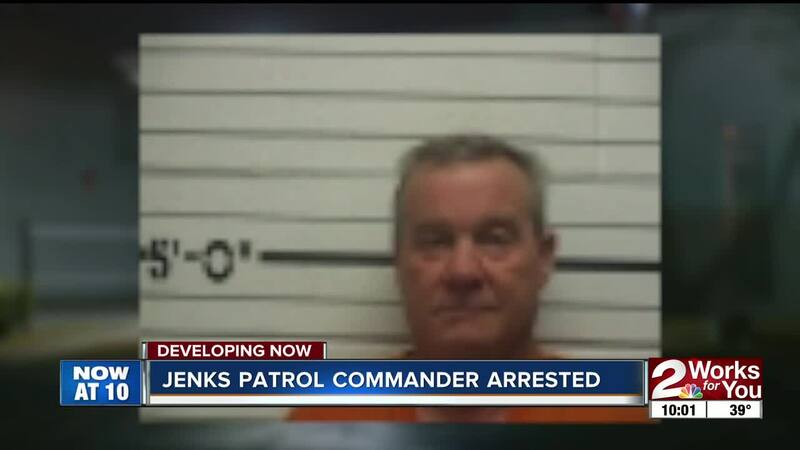 Bennett is listed as patrol commander, according to the City of Jenks website . According to OSCN , a warrant was issued for Bennett's arrest Friday as he was charged with falsely obtaining money over $1,000. Jenks Police officials tell 2 Works for You that they have no official statement as of right now, but they will release one Monday. This is a developing story, so stay with 2 Works for You as more information becomes available.